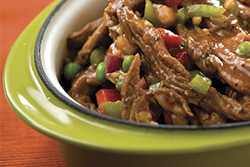 Ropa Vieja or "Old Clothes", refers to a traditional recipe popular in the Canary Islands, Cuba, Puerto Rico, and the Caribbean. This delicious recipe is composed of tender shredded beef with a tomato based sauce full of spices and flavor. Combine 11⁄2 quarts water, 1 teaspoon of the salt and the peppercorns in a large IMUSA SAUCE POT OR CALDERO and bring to a boil over high heat. Add flank steak and reduce the heat to low. Cover the IMUSA sauce pot or caldero and simmer over low heat for 11⁄2 to 2 hours, until the meat is nice and tender. Heat the olive oil in a large 12” IMUSA SAUTÉ PAN over medium heat. Add the garlic, onion, and bell peppers, and sauté for about 10 minutes, until the vegetables are soft. Add the tomato sauce, bay leaf, pepper, cumin, oregano, and remaining teaspoon of salt, and bring the mixture to a boil. Add the dry wine and continue boiling for 5 minutes. Reduce the heat to low and simmer for additional 20 minutes. Remove the pan from the heat and set aside. Drain the flank steak and let it cool to room temperature on a plate lined with paper towels. Use your hands to shred the beef into long strips; if you shred it along the grain it should come apart easily. Season the steak with salt and pepper and with the IMUSA LIME SQUEEZER, squeeze lime juice and add it to the tomato mixture. Stir to coat the meat with the sauce. Cook over medium low heat for at least 20-30 minutes to allow the flavors to come together. Remove and discard the bay leaf. Garnish with peas and pimentos and serve with white rice. 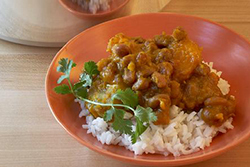 Pink beans and rice is a delicious recipe from the Caribbean that compliments almost any dish. The plantains and pumpkin give this recipe a unique sweet flavor. Serve it with any type of poultry or meat. This recipe uses a pressure cooker to speed up the cooking time. Dry pink beans 1 Lbs. 1 Can of tomato sauce 8oz. Add dry beans into your IMUSA PRESSURE COOKER and fill with cool water (about 1⁄2 inch above beans), and let soak for one hour. Turn heat on to medium, and add onion into the pot (this will give the beans a great flavor while cooking). Place the lid on and cook for 35 minutes. When your beans begin to boil; the heat indicator will start to spin in order to let off steam. Turn off heat but DO NOT OPEN LID! Wait a few minutes; carefully open your release valve to let out the rest of the steam. Stand away from the pot and let set for about 10 minutes before opening. Once cooled, remove onion and add remaining ingredients. Mix well, and cover loosely. Cook on high for about 15 minutes (or until veggies are soft and beans have thickened, add salt to taste). Spoon over white rice and serve! 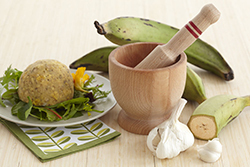 Mofongo is a fried plantain-based dish from Puerto Rico. 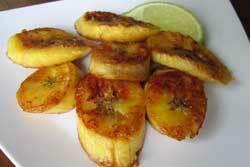 It is typically made with fried green plantains mashed with spices and pork cracklings or bits of bacon. 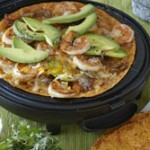 You can top it with vegetables, seafood, chicken, pork, or beef. 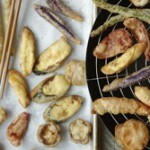 Add the salt pork or ham pieces to your IMUSA pan, and cook until crispy then set aside. Fill your IMUSA Dutch oven half way with water, add salt cover and bring to a boil. While the water is boiling, peel your plantains and cut into 2 inch pieces then add to water. Cook plantains until soft; drain (reserving the water into another pot), then add plantains to a large bowl. Using a potato masher or pilon, start mashing your plantains and slowly mixing in your garlic and pork or ham pieces. Spoon in some of the hot liquid reserve if mixture starts to get to sticky. Using a small soup bowl; spoon some of the mixture in and then turn upside down onto a flat plate and serve immediately. 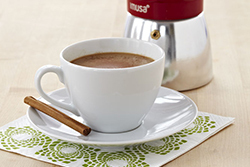 Enhance the rich aroma of your favorite espresso by adding a touch of hazelnut and cinnamon. 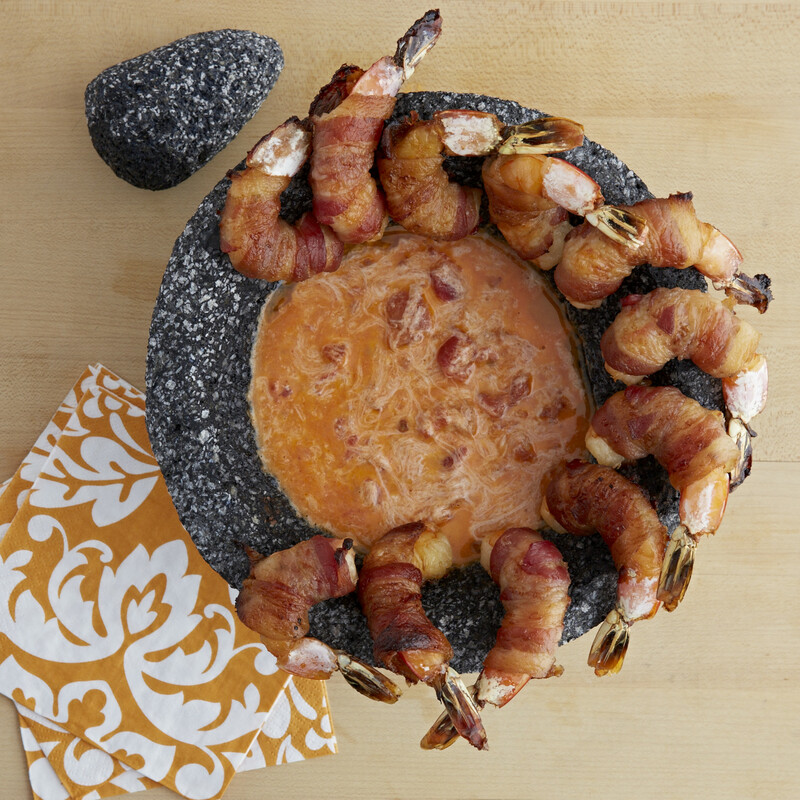 Prepare to amaze your family and friend, or simply treat yourself to this dreamy combination of flavors and aromas. Fill your espresso-brewing cup ⅔ with espresso coffee and ⅓ with sugar free chocolate powder and gently mix. Once brewed, divide the coffee evenly between 2 cups and add creamer. Sprinkle a dash of cinnamon on each and serve. No sugar needed!